This thread was "New Toy - High Speed Photography with Casio EX-FC100". 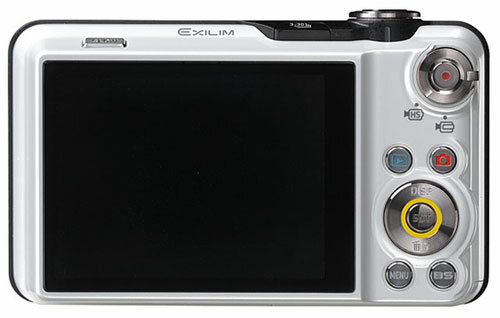 Instead of making new topics each time showing new toys, I may as well combine the camera, computer, hifi related topics into one thread for showing new gadgets. In our last trip to Kun Ming, I have taken more than 600 golf pictures trying to capture the magic moment, like when the club head impacts the ball. But there was no luck - the closest was right after impact. See pictures at Spring City Resort in Yunnan. My normal camera is a Sony A900 digital SLR. The most used lens is the 24-70mm/2.8 zoom, which was used in perhaps 90% of the Spring City pictures. This camera + lens combo weights perhaps 2kg! My other lenses are all top quality Sony (or formerly Minolta) G series or Zeiss lenses, thus all glass and heavy, and I already have more lenses than I can carry. I also have a light 265g point-and-shot Panasonic LX3 which supposedly has good optics for the small size. In Spring City, I was using high speed continuous shots with the A900 at 5 frames per second. For golf, this is simply not fast enough. After examining the pictures closely, I realized that the "action" part of a normal golf swing takes perhaps less than 1/2 second, so for each series of high speed shots, only 2 or 3 frames captured the swing in action. 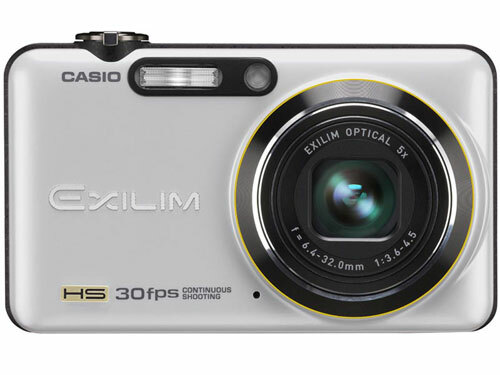 After seeing the advertisement promoting the high speed photography feature, and hearing some comment from my friend, I went to Man Shing and bought the Casio EX-FC100 on Monday, and brought the new toy to golf on Tuesday. This picture is taken in the Auto Mode, using normal speed. The quality is unremarkable. This picture is shrank 25% on each dimension, thus only 1/16 the size of the "original size". The 2nd picture is a "blow up" at 100%, or original size, shows high noise level even at the supposedly best quality ISO100. The resolution is also poor, the flag on the green is almost invisible. Picture taken with High Speed Anti-Shake mode. 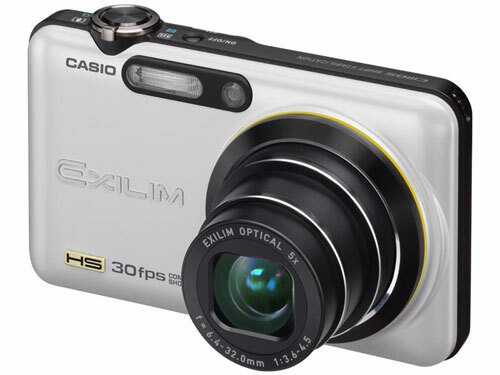 Casio is capitalizing on the high speed hardware/software built into this camera. One of the fancy, pre-defined shooting modes is the High Speed Anti-Shake which take 30 pictures in one-go, then combine the pictures to form a new image with more details. This is an old technique used by astrophotography. We call it stacking. Astrophotographers would take hundreds of pictures of the same celestial body then use specialized software to stack the pictures, hoping the resulting image would contain more details. The following picture again may looked OK on screen. But if used for print, the effect would probably like the 100% crop that follows. Now the High Speed part. The main advertised feature of this camera, and my main motivation for shelling out HK$3000, is the 30-frame per second shot. To do that, you first hit the high speed button on the top, when ready, press and hold the shutter. The camera's memory buffer can only hold 30 pictures, so you can take high speed pictures for only 1 second. It took us a few tries to capture the actions in this 1-second window. The advertisement of this camera trouts the high speed feature in taking pictures of small kids in action. If anyone buying the camera to take pictures of running kids, the result may be very disappointing. The skin tone and facial details may distorted badly except in the most ideal lighting condition. I suspect the picture quality from the high speed shooting is unacceptable for evening/night/in-door use. So was it a waste of money buying this camera? turned out to be the high speed video shooting. We were shooting video at 210-frame per second mode. This is about 7 times the normal speed. In other words, each 1 second of actual action will be replayed in 7 second, creating a very nice smooth slow motion video. For me, the FC100 is quite useless for the purpose of taking nice good looking pictures. However the high speed shooting can be used for technical analysis and the high speed video could be very useful and fun. I will post more pictures or video if I found good use of it. The biggest problem for using the high speed video is that it requires very bright light. Otherwise the subject will be very dim. The following is a picture taken with the heavy Sony A900 + 24-70/2.8. Compare the quality to the pictures taken with the Casio FC100. 2nd picture is part of the 1st picture blow up to 100%. I just spent a few hours reorganizing the work space at home. And decided to take some pictures for record. 1. the new bigger desk, from Ikea. 2. big screen is 30" cinema display from Apple, hooked up to an 8-core (2 x 2.26 GHz Quad-Core Intel Xeon) Mac Pro /w 16GB DDR3 RAM. 3. smaller 24" screen hooked up to a 2 yr old Core 2 Dual PC. 4. the Mac is optical out (digital signal) to a Ibasso D10 DAC, then to Altec Lansing FX3022 speakers. The PC is line-out (analog signal) to the aux port of the Altec speakers. One major feature of this pair of speakers is the ability to hear BOTH input at the same time. So there is no need to have a set of speakers for Mac and another set for PC. The Ibasso D10 DAC/AMP is the new toy in this setup. It's the small shiny box sitting to the right of the speaker in the following picture. This is sort of my first adventure into the head-fi & computer hi-fi world. The little box decodes the digital signals into analog signals (DAC= Digital to Analog Converter) to feed into an amplifier. The regular PC has DAC on board but the quality is not as good. And a regular computer does not provide enough power to power a good headphone. I have tried connecting the headphone to the PC via D10 vs connect directly to the PC. The sound quality difference is very apparent to my ears. When I tried to do the same on the Mac Pro, the difference is smaller. I chose the Ibasso D10 because it allows diversified input (coaxial digital, optical digital, USB digital, line-in analog) & output (line-out or headphone). It has received very good reviews in the head-fi communities. And it's a quality Made in China product. I ordered from the ibasso.com web site and it was delivered within 24-hour! The D10 can be used as a portable headphone amplifier for iPod & other portable music device. I tried it on the iPod Touch but to my ears the difference is not too big. It's main purpose is still a good DAC. My headphone is Philips SHP9000. A nice comfortable headphone I have for about 1 year already. Supposedly it's not as good as some head-fi grade headphones, but those headphones are easily HK$2000+. The powered Altec speakers are not quite hi-fi grade, especially with the way I put the left speaker behind the 24" screen, but very practical for my current 2-computer setup. Perhaps in the future I will change to a setup with separate amplifer & monitor type speakers. One of the major reasons to go with the Ikea desk is the hanging rack for computers. In my setup the Mac is on the right, and the PC on the left. After hearing the much higher resolution music at home with the new gadgets, the music output quality at office became simply unacceptable. So today I bought this tube amp with USB input and headphone output for use in the office. Right now I would use only the headphone output in the office. I hope in the next few months, when we move to the new office, I will be setting up a nice pair of monitor speakers hookup to this amp.